Dr Claire Harris on the promising results of a team working study among 19 community learning disability teams in England. In January our AOD team of consultants met, for the final time with a group of NHS team leaders eager to reflect on their experiences as part of a recent feasibility pilot study. The team leaders were largely from the NHS and included nurse prescribers, advanced practitioners, consultant psychiatrists, social care managers and clinical psychologists. 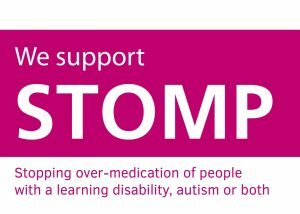 What brought them together was STOMP – a national campaign designed to stop the over-medication of people with a learning disability, autism or both. It is estimated that in England between 30,000 to 35,000 people with a learning disability are prescribed an antipsychotic or antidepressant, or both, by their GP without appropriate clinical justification (1). 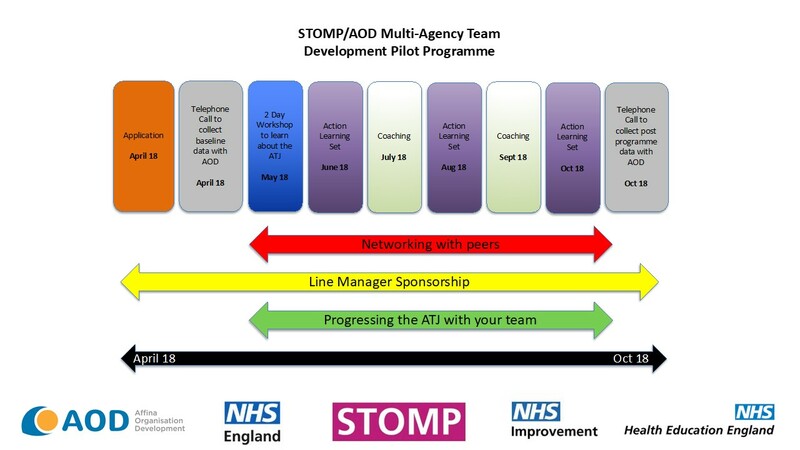 Back in October 2017, AOD was commissioned by Health Education England to explore the potential impact of team development in helping teams to fulfil their STOMP pledges, in other words to reduce over-prescribing and over-medication. We know that effective teams can reduce patient mortality, increase staff engagement and foster innovation. Here was a chance to explore if effective multidisciplinary teams could also support STOMP. During the feasibility pilot, 19 team leaders led their teams through the Affina Team Journey, an evidence-based programme built from Professor Michael West’s research. The pilot took place over a 6-month period between May and October 2018. What was striking was how positively the participants viewed the experience. A focus on team structure, processes and behaviour helped their teams to shift perspective and become more focused and energised around the STOMP initiative. The formal results backed up these sentiments. 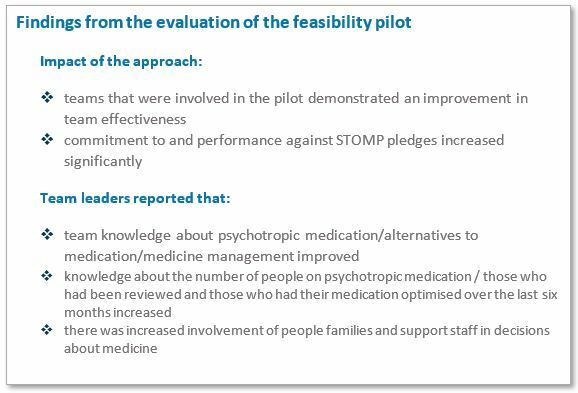 After their six months on the Affina Team Journey, the teams worked more effectively together, had greater knowledge about psychotropic medication and showed progress against the STOMP pledges. It’s great to have played our part in a campaign where people’s lives have changed for the better through reviewing their medication. Opportunities to evaluate the role of team effectiveness in specific initiatives are unfortunately few and far between. Services could be improved if teams could spend more time on the structure and processes they need to succeed, even if they are already working well together. 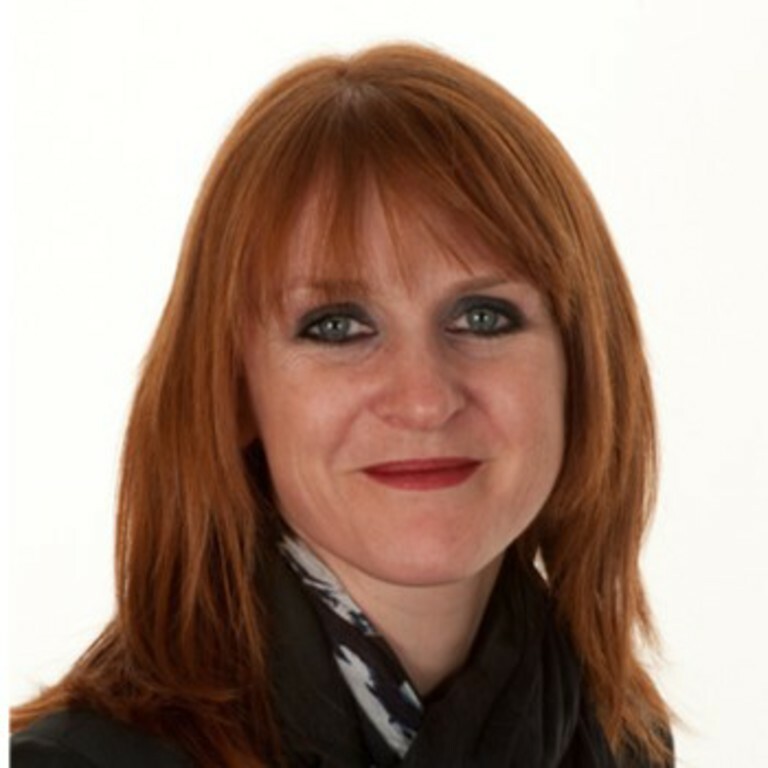 The study findings are published in the Multi-Agency Team Development Intervention: Feasibility Pilot Evaluation Report – please email Sarah-Jane Dale to find out more. 1 Public Health England /CPRD (2015) Prescribing of psychotropic drugs to people with learning disabilities and/or autism by general practitioners in England. Team reflection time – luxury or necessity?